Surprising everyone—including his staff, Capitol Hill, the business community and the steel and aluminum industries—President Donald Trump recently suggested that he would unilaterally impose a 25-percent tariff on imported steel and a 10-percent tariff on imported aluminum. After reviewing a trade report submitted by the Department of Commerce (DOC), the President made his comments during a White House meeting with executives from U.S. steel and aluminum manufacturers on March 1. The report, from a “Section 232” investigation, gives the President an array of options, including higher tariffs or quotas, to deal with the dumping of steel and aluminum into the U.S. and to determine if the imports pose a threat to U.S. national security. The Section 232 investigation was requested in April 2017 by U.S. Steel with claims that rival Chinese manufacturers colluded to fix prices and undercut American competitors. The announcement of higher tariffs, although not yet final, is causing a backlash from Republicans on Capitol Hill fearing a trade war and harm to U.S. manufacturers. The President has until April 11 to make his decision on steel imports and until April 19 to decide on aluminum. There have been hints from the President and U.S. Trade Representative Robert Lighthizer that there may be exemptions to the tariffs, possibly for imports from Mexico and Canada in order to influence successful negotiations of the North American Free Trade Agreement (NAFTA), but so far the President has not backed down on his original intentions. 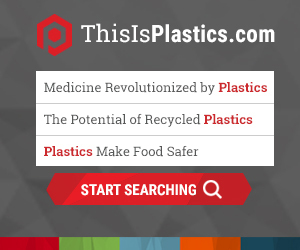 PLASTICS is engaged with both the Administration and Congress on this issue, presenting the objections of mold builders and machinery manufacturers and advocating that no tariffs be placed on these imports.